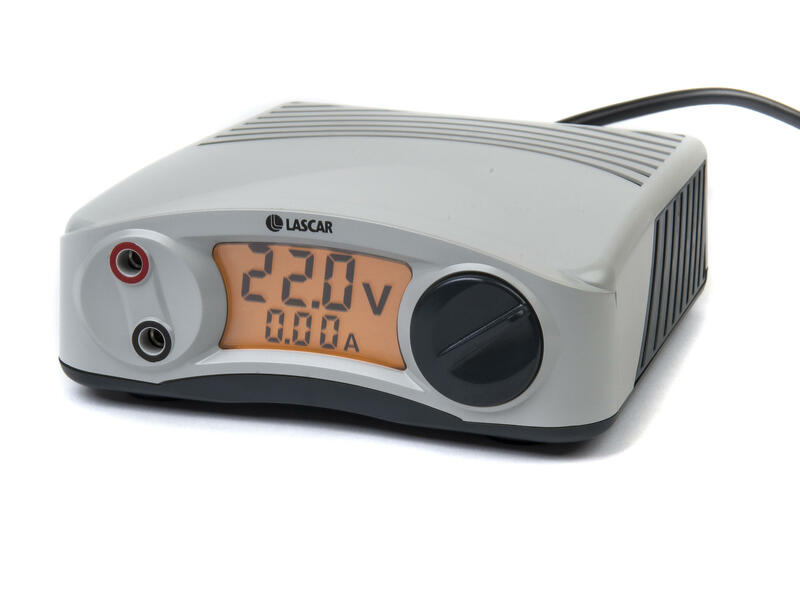 The unit is a compact, lightweight bench-top power supply in a stylish enclosure. Designed as an affordable yet highly functional piece of lab equipment, connection to the power supply is via standard pitch (19mm) 4mm sockets. The continuously adjustable output voltage can be set to within 0.1V, using the adjustment dial on the front of the unit and the current may be read to a resolution of 0.01A. Overvoltage/current and short circuit protection. A large backlit LCD displays the output voltage and the current being drawn. The PSU measures only 135 x 140 x 53mm (5.3" x 5.5" x 2.1") and can be tilted to adjust the viewing angle of the display.